A drying shed is a glorious place to be from June to August. It's filled with bundles of lavender hanging from the pegs. The biggest danger is getting your hair full of the dropping buds when you brush against the lavender. Well, I guess the other biggest danger is the temptation to just lie down and doze off in the wonderful haze of lavender. Some people just like to sit and meditate. But honestly, I just want to take a nap. Technically, a drying shed is a warm dark place where lavender is suspended until the buds are dry and ready for garbling. Yes, it's called garbling--when you take the buds off the stems. Each person has their favorite method: Rolling the bunch in your hands and letting the buds drop into a basket below; stripping the buds off each stem into the basket; shaking the buds into a basket; whatever gets those buds off gently to insure they aren't crushed and release too much of their fragrant oils. The big commercial operations in France and China use machines. We use our hands. 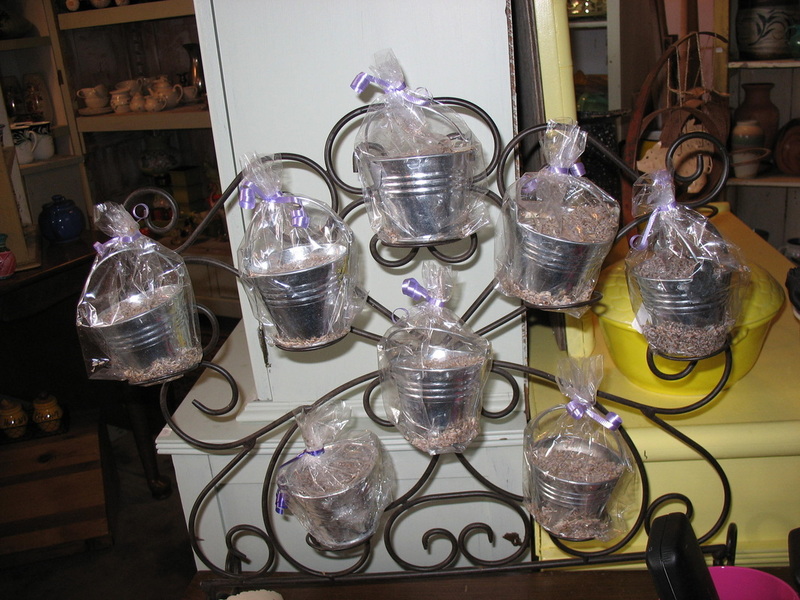 If you are fortunate enough to have some lavender plants, you can make your own drying shed by tying the bundles into a paper bag, hanging the bag onto your attic rafters (if you have an attic, that is) or closet, or anywhere dark and dry. Depending on your humidity level, it should take about 3-4 weeks for the buds to be dry enough to fall off the stems when gently shaken. You then can make the buds into a fragrant sachet or pot-pourri..